Texas-based Air Medical Group Holdings LLC is the largest independent provider of air medical services in the world, operating through six subsidiaries. AMGH collaborates with leading hospital systems, medical centers and EMS agencies to offer improved access to emergency medical care. 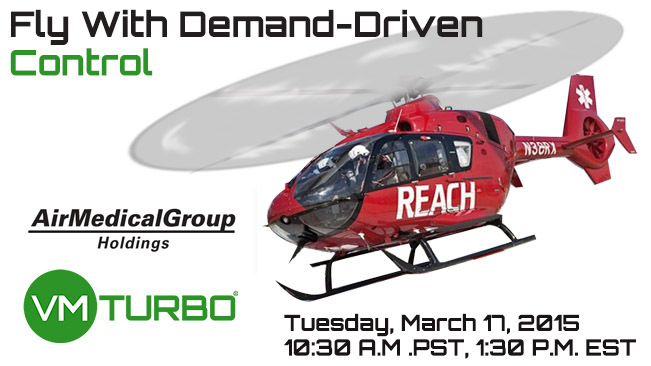 Join us March 17th at 1:30 PM EST as we hear from Christopher Pritchard, Director of Information Technology, how AMGH leverages Turbonomic’s Demand-Driven Control to minimize latency, assure performance, and maximize utilization in its virtual ITbackbone – including holistic control of Cisco Unified Computing System (UCS), EMC VNX, and a suite of Dell compute and storage.